My Recap Academia – Chapter 178 – AiPT! 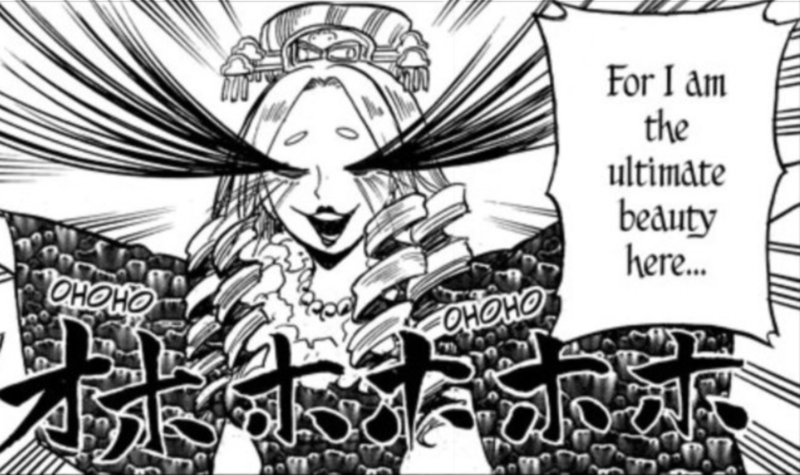 La Brava’s backstory and Quirk are revealed! Let’s dive into the latest chapter and discuss! Moving on to the Midoriya-Gentle conflict, here we get more of La Brava’s backstory and learn about her Quirk! Let’s start with her backstory because it’s really lame. Really? She had her heart broken by a middle-school crush, lost all hope in anything, and her new love for Gentle is the only thing that brought her out of her depression? Boooo, Horikoshi! All of La Brava’s motivations have been framed to be completely dependent on whether or not male characters are giving her the acceptance she desires and I’m bored. At this point, she’s basically a toned-down Harley Quinn to Gentle’s Robin Hood, but with all of Harley’s dependence on Joker (when she’s being written lazily) and none of her expertise or agency. I do think her support-style Quirk that supercharges the target of her love is interesting since we haven’t seen a Quirk that affects other people like this before. It would have really cool potential if it were used by a couple that was much more developed. But in this scenario, it feels wasted on a character with little foundation to stand on.